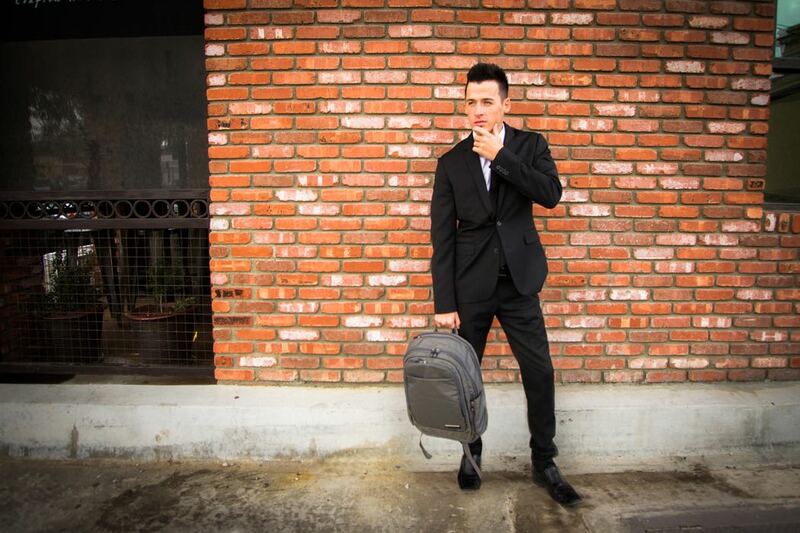 A must for the modern, luxury traveller is smart, stylish luggage. For superior, state of the art luggage and bags, look no further than ecbc Luggage Solutions! The company was formed after the ridiculous frustration of having to unpack at airport security to remove your electronic equipment just got too great; something had to be done so the ecbc FastPass® System was developed. The ecbc FastPass® System is revolutionary; not only are all your gadgets packed securely but you simply open your bag, lay it flat and send it through the TSA bins at security – everything stays safely packed and you don’t have the hassle of unpacking and repacking. Bliss! The product range is also extremely hard wearing and features water repellent, nearly indestructible exterior with self-repairing zippers. Made of either high denier Ballistic Nylon and Kodra; these are tough products, able to withstand whatever your life may throw at your bag! ecbc also decided to tackle another irritating travel headache that we’re certainly familiar with: flat batteries on your devices! Avoiding those overcrowded charging stations was a key requirement so they came up with a spare portable battery pack tucked neatly into your bag so that your device can be charged on the go – very smooth. ecbc are pretty sure that you’ll love their bags, so sure that they are happy to offer a No Risk Test-Drive. USA domestic customers are invited to order their bag online, play with it, check that they do indeed love it and if not (unlikely we feel!) they can request a paid return label and return the bag in its original packaging and original condition for a full refund. How generous is that! A carry-on luggage bag was the original product but the range has now expanded and includes backpacks, daypacks, messenger bags, duffle bags and wheeled garment bags as well. There is a great selection of sizes, colours and a variety of styles for each product type. 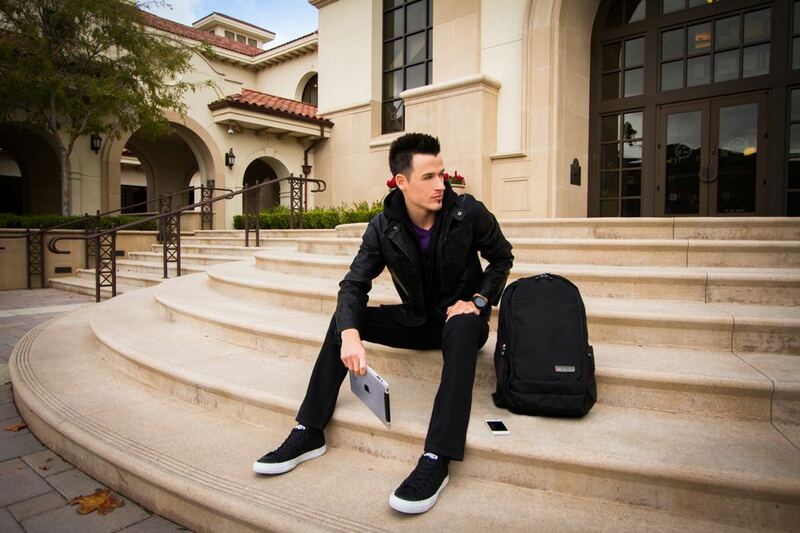 The TSA-Friendly Hercules Laptop Backpack retails at $139.99 and is a standout product for ecbc. 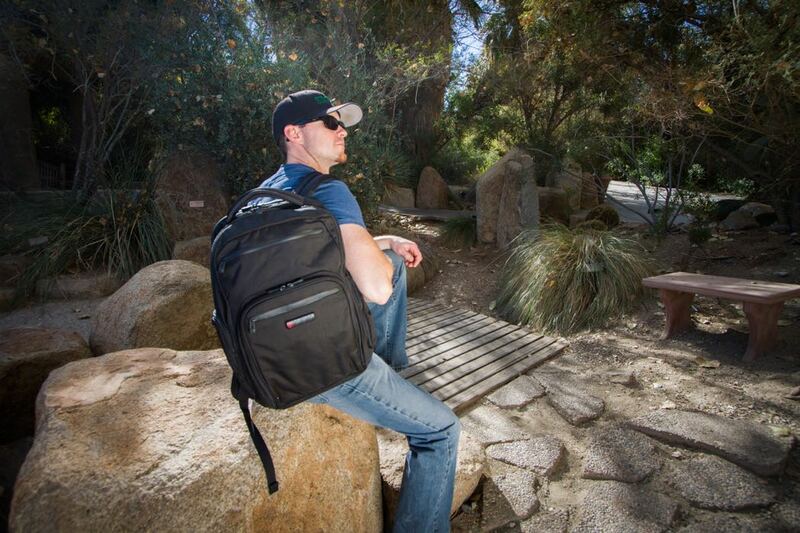 This is a product that really fits all uses and all users, it has ample compartments (21! ), is surprisingly lightweight at 2.7 pounds and yet is nearly indestructible. It can fit a 17” laptop, has a 20 litre capacity, includes the excellent ecbc FastPass® System and comes in 5 colours: black, blue, green, linen and berry. 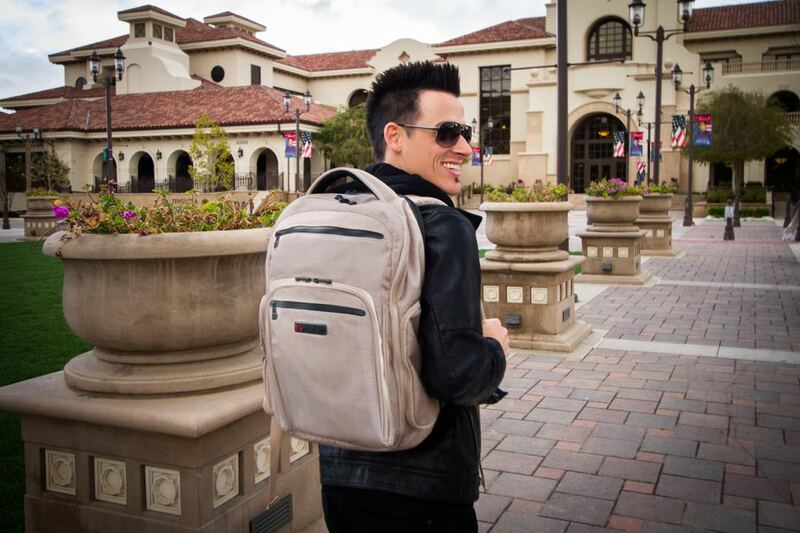 For a more professional, executive product, the TSA-Friendly Lance Executive Daypack retails at $149.99 and is available in either black or gray. 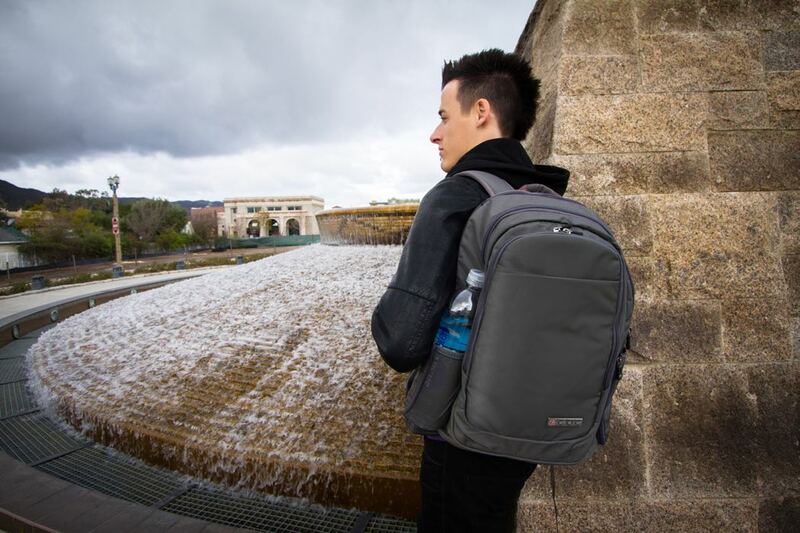 Designed for the modern business traveller, the daypack will hold both your briefcase and your 17” laptop, plus your documents and other items (in its 19 compartments! ), keeping your hands free. Another incredibly durable product, it also includes the ecbc FastPass® System and a very useful waist belt similar to the sort used on technical climbing packs. For unbeatable protection for your electronic items, stress-free travel and a stylish and all-together-superior product; take your pick from ecbc’s fantastic range.